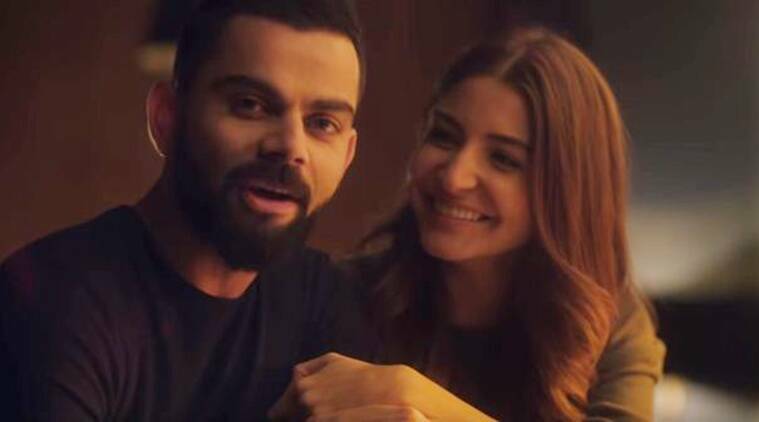 This is not the first time that Virat Kohli and Anushka Sharma, or Virushka as they are called by their admirers, have shot for an ad together. The couple had previously featured in a shampoo ad and in a couple of commercials for a clothing brand. Celebrity couple Virat Kohli and Anushka Sharma continue to garner attention even months after their wedding. Indian cricket team’s captain Virat and Bollywood star Anushka are now ready to set the internet abuzz with their latest commercial called Pure Love. In the 30-second-long advertisement, we see the chemistry of the stars, one of the things that have made them a fan-favourite. Anushka is seen sitting at her desk, and then the camera cuts to Virat entering the frame with a hot cuppa. However, before handing his wife the mug of steaming coffee, Virat blows air over it to make sure that it is not too hot to take a sip from. A surprised Anuska plants a kiss on Virat’s cheek. Then the couple looks straight into the camera and advises their audience to stay away from things that are not “pure” like their love for each other. This is not the first time that Virat and Anushka, or Virushka as they are called by their admirers, have shot for an ad together. The couple had previously featured in a shampoo ad and in a couple of commercials for the clothing brand Manyavar.